On April 5, dozens of people met in an office tower in the heart of Toronto’s financial district. 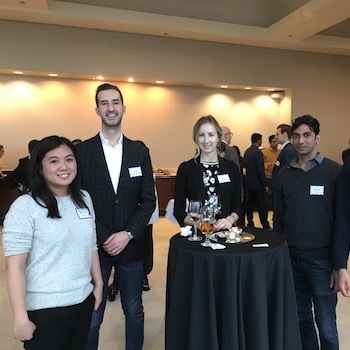 Despite coming from different educational backgrounds, career paths and places, they all had at least one thing in common – they were the newest class of MBA candidates of the Lazaridis School of Business and Economics in Toronto. Engineers, sales reps, supply chain managers, accountants, journalists and bankers were just a few of the professions represented by this year’s cohort which MBA Associate Director, Brad Davis, PhD says is one of its strengths. In addition to an expanded rolodex of contacts, the Lazaridis MBA program offers a challenging and thought-provoking curriculum delivered by top-tier faculty. The format of the Toronto-based program also distinguishes itself by delivering small classes on weekends to allow candidates to work full-time while they earn their degree. “For the past 20 years, the Lazaridis MBA program has thrived in Toronto because it is able to provide the perfect work-life-learning balance to our students,” says MBA Program Director, Mitali De, PhD. 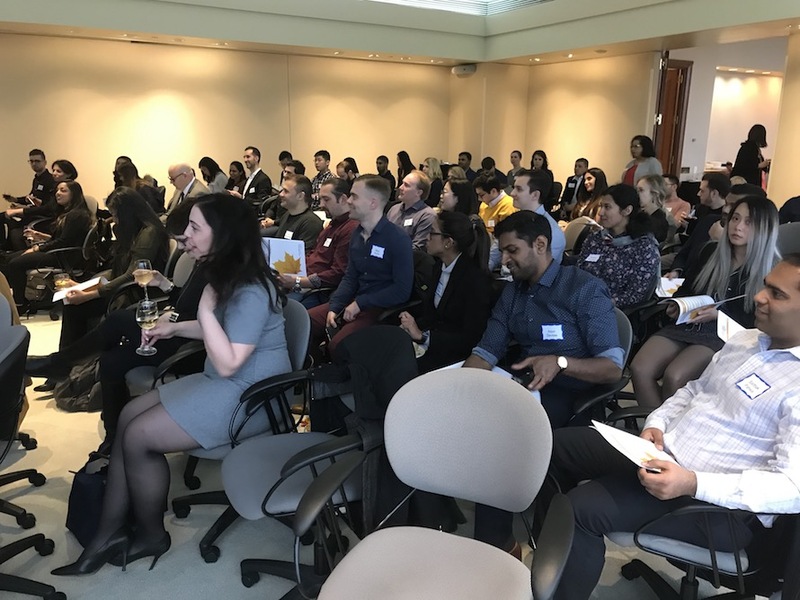 After the reception and welcoming remarks, MBA Associate Director Al Foerster, PhD invited the brood of Golden Hawks was invited to hear about the experiences of someone who was sitting where they were just a few short years ago. Lauren Miele, Lazaridis MBA ’18 thought her career would take place in a newsroom. Graduating with a degree in journalism, Lauren hoped to one day become a news anchor but quickly realized the more traditional career paths in news media were becoming harder to follow. “Like so many people who decided to earn an MBA, I was looking to enhance my business acumen, which I felt would be a great compliment to my communications background. The Lazaridis MBA program was the right fit for me because it offered a flexible schedule that allowed me to work full-time and had a great reputation for having a very committed family of alumni. I immediately felt like I was at home right from the first info session,” says Lauren. If you would like to learn more about the Lazaridis MBA program in Toronto, why not join us for an info session? The Lazaridis MBA program also offers part-time and full-time delivery options at our Waterloo campus. For more information, visit LazaridisMBA.ca.